This bijou sofa was designed and custom-made by Maurizio Tempestini for the Villa Palaiola, a private residence in Fiesole, just outside Florence. 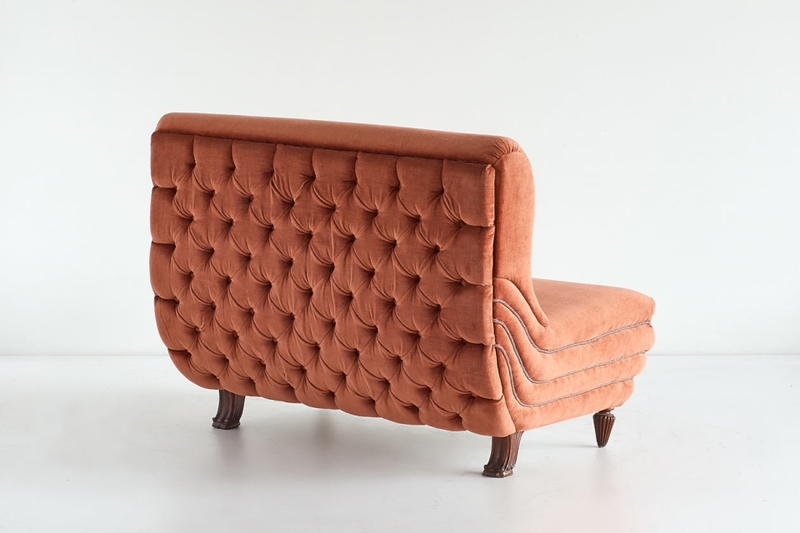 The details of the upholstery in a coral pink velvet are particularly striking and indicative of the refined craftsmanship Tempestini’s work is known for. The tufted backside, the layered seat and the decorative legs make this a highly original and extraordinary detailed piece. This piece has been very well preserved and the original fabric remains in excellent condition.